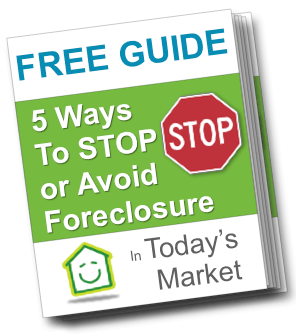 Learn how to Stop or Avoid Foreclosure in Asheville and your 5 main foreclosure avoidance options with this free guide. Go ahead and submit your name and email to the right and we will send over our free guide right away. But, when you’re armed with the right information, know all of your options, and can make a well educated plan… your odds of coming out of this foreclosure situation with as little long-term damage as possible increase a lot. Make sure you understand the Foreclosure Process in North Carolina. If you have questions about whether you can Sell Your House During Foreclosure you can get more information here. Download the Free Foreclosure Guide on how to Stop or Avoid Foreclosure by entering your information to the right. We’ll email you the PDF of the guide so you can go through it at your own leisure. You’ll also receive other tips and help from us to help you make a well informed decision. You can also find additional information on how Stop or Avoid Foreclosure here in Asheville by visiting www.nchousing.org or www.hud.gov. Both of these websites offer additional resources and information at both the state and federal level.